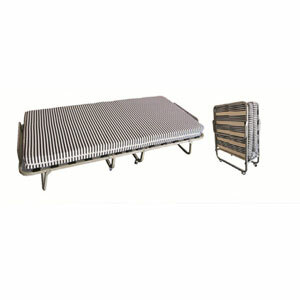 Light Weight Strong Construction Folding Bed. Metal Frame with support slats. Comes completely assembled except the wheels need to be installed. Comes with 4 In. Foam Mattress. Size: 74 In. (L) x 31 In. (W) x 15 In. (H) Wt. 29 Lbs.